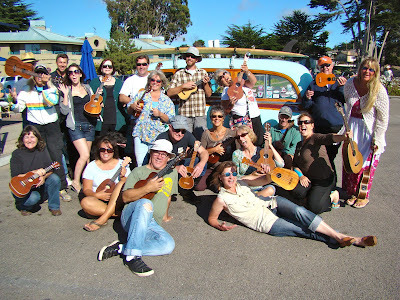 Baywood Ukulele Social Club: Another Great Turn-out! The B.U.S.C. numbers continue to swell with each meeting! Today's jam drew nearly forty players from hither and yon. Afterwards about half of us gathered in front of a fabulous woody owned by new member Dave Peter of the Sea Galley restaurant in Morro Bay for this group shot. Thanks also to the Bay Bay Cafe for hosting the event. Here is a list of the songs we played today. Add your comments on which songs you liked the best and we'll keep them on the playlist for future meetings. Also here is the link to James Hill's ukulele big band arrangement of This Little Light of Mine that we started working on. 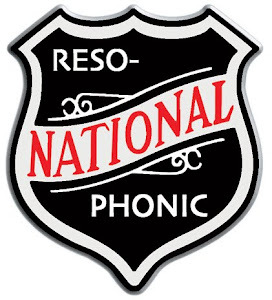 Once there click on the C6 tuning link to open a PDF of the song.